The healthcare industry will also move away from traditional approaches to patient relationships, instead moving towards a more patient-oriented attitude. 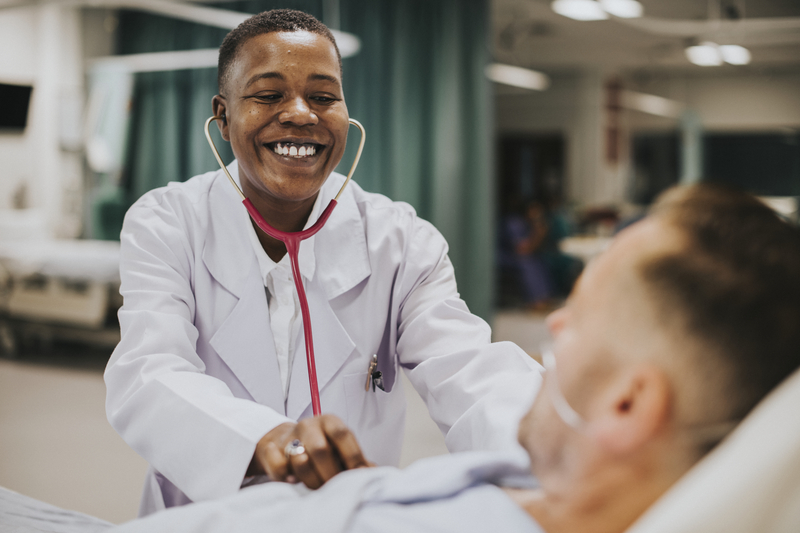 Another key area of focus at HIMSS was the growth of consumerism within the healthcare industry, specifically how patient-provider-payer relationships will be impacted as a result. On the Monday and Thursday of the HIMSS 2019 Conference, the Patient Engagement & Experience Summit and the session titled “Empowering Consumers with Data to Improve Chronic Disease Conditions” by Joshua Riff and Mark Talluto took place to teach its attendees about the growing importance of providing patients with convenience, accessibility, and attention. Many of these sessions also discussed how to increase patient engagement in conjunction with the use of different technologies and data analytics, amongst additional topics such a preparing for an increasingly elderly population, managing patients’ finances, and understanding consumer behavior and tendencies. The shift from legacy technology to AI within our hospitals will push the healthcare industry into greater technological advancement. AI was one of the star subjects of the HIMSS 2019 Conference. Attendees received a surge of information regarding this innovation as AI was featured in over 50 educational sessions, these topics ranging from security measures to organ transplantation. On Monday, sessions such as “Synergies Between Man & Machine” by Anthony Chang and “Blockchain & AI: Stronger Together” by Sriram Vishwanath took place to reveal the extraordinary abilities of AI in improving medical education, automating quality improvement, and mitigating physician burnout. Scott Floyd, head of Kaiser Permanente and Rattan Singh, head of PricewaterhouseCoopers also emphasized the importance of technological literacy within the healthcare industry during a session titled “Digital Fluency within Healthcare: The New Normal.” These sessions, by having tried to normalize the use of AI and the digitization of information, signal a healthcare industry that is becoming more and more technologically advanced. Additionally, the ethical implications of using AI was explored. On Tuesday, Hemant Pathak, Peter Lee, Michael Hodgkins, and Susannah Rose led a session titled “Ethics of AI in Healthcare: Developing the Right Framework for Innovative Clinical Delivery.” In this session, the leaders garnered awareness on the important ethical and societal consequences of using AI within health. They also explained how to establish a strong framework to guarantee the ethical use of AI in healthcare. A greater focus on fluid data exchange prompts the healthcare industry to leave behind overly-conservative business strategies and move forward with more efficient interoperability. Finally, the HIMSS 2019 attendees had the opportunity to better understand the growing importance of data interoperability and smooth data exchange within the healthcare industry. On Tuesday, Administrator of Centers of Medicare and Medicaid, Seema Verma explored the impending enhancements of interoperability in today’s healthcare industry as well as patient engagement in her session titled “Interoperability and Patient Engagement.” This session also included discussion of data-driven and patient-oriented initiatives such as MyHealthEData and Patients Over Paperwork. Attendees also had the opportunity to learn more about interoperability by visiting the Interoperability Showcase that contained 20 demonstration areas, a product marketplace, and an education theater. Doubtless, attendees were allowed to get an incredibly far-reaching glance into the future of healthcare as an abundance of crucial subjects were discussed at the HIMSS 2019-subjects that may seriously aid not only healthcare companies and organizations but also health tech marketing firms such as KNB Communications, in preparing for an industry that is projected to change considerably in the coming years.